HOW DO WE SETUP THE LEAGUE: By having juniors play appropriate length tees, juniors learn to shoot lower scores by being really good at shots inside 50 yards and on the green – the SCORING SHOTS in golf. WHAT DO THE JUNIORS TELL US: This is awesome – I get to make birdies. I get to shoot under par! The course is shorter so I do not have to take 5 shots just to get on the green. 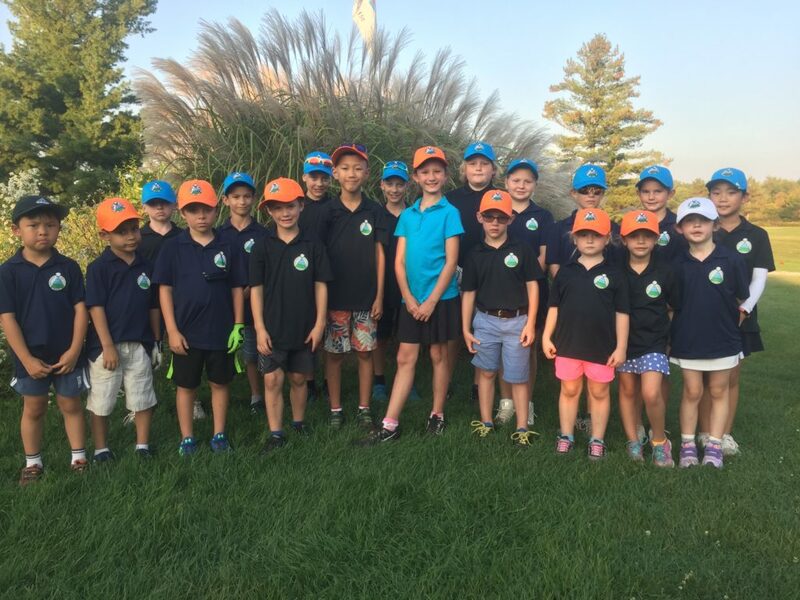 IMPORTANT NOTE: Most Juniors in the Junior League also participate in the Learn to Golf Program – Learn to Golf allows juniors to develop the skills of the game that they need to improve on a weekly basis. Break 36: Juniors will play from a level appropriate tee block for 9 holes – if they score less than 36 strokes, they move back to the next tee block. Starting Distances – based on the juniors level in our development systems – typically a junior in WHITE starts at 25 yards from the green, ORANGE starts at 50 or 100 yards from the hole, BLUE starts 150 or 200 yards from the green. On Course Play – The on course play is on Sundays afternoons. Start times are based on the number of golfers in each division. The sessions last 2.5 to 3 hours and we plan to begin between 2:30 and 4:30 PM based on course availability. All participants will require his/her own set of clubs.